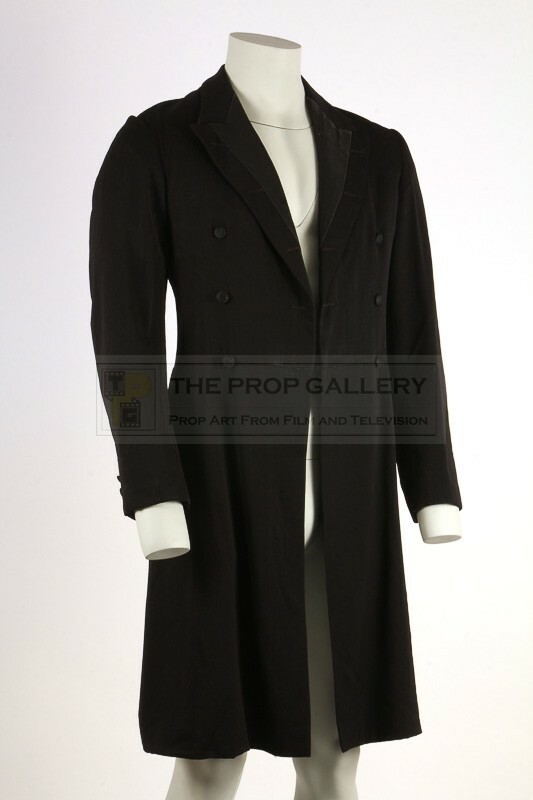 An original costume used in the production of The Private Life of Sherlock Holmes, the 1970 detective picture starring Robert Stephens in the title role under the direction of Billy Wilder. 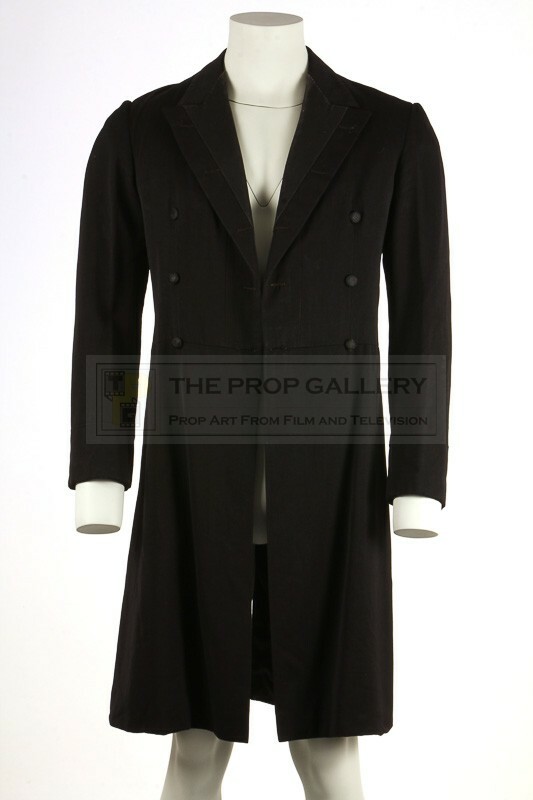 This frock coat was worn by screen legend Christopher Lee as Mycroft Holmes, older brother to Sherlock who takes on the case of Gabrielle Valladon (Genevieve Page) after she is fished out of the River Thames. 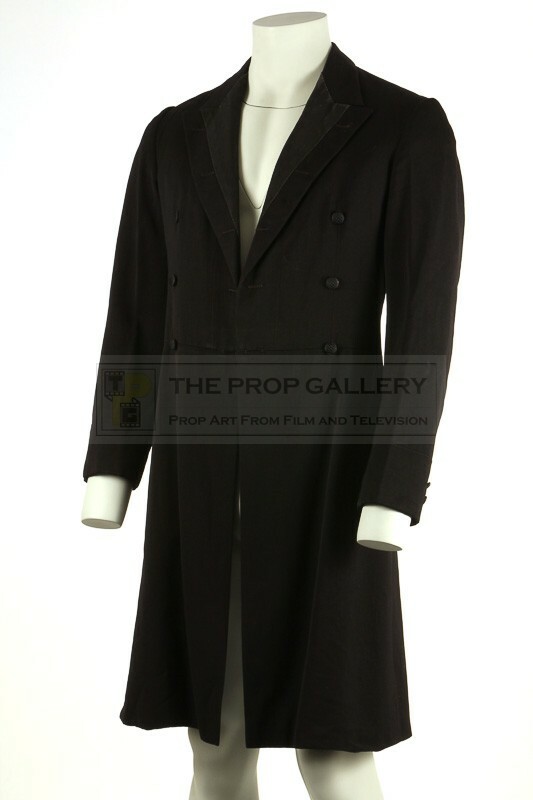 The coat was bespoke made for Lee by leading industry costumiers M. Berman LTD, later of Bermans and Nathans, and is constructed to a high standard of black wool, lined to the interior with detailed woven buttons. 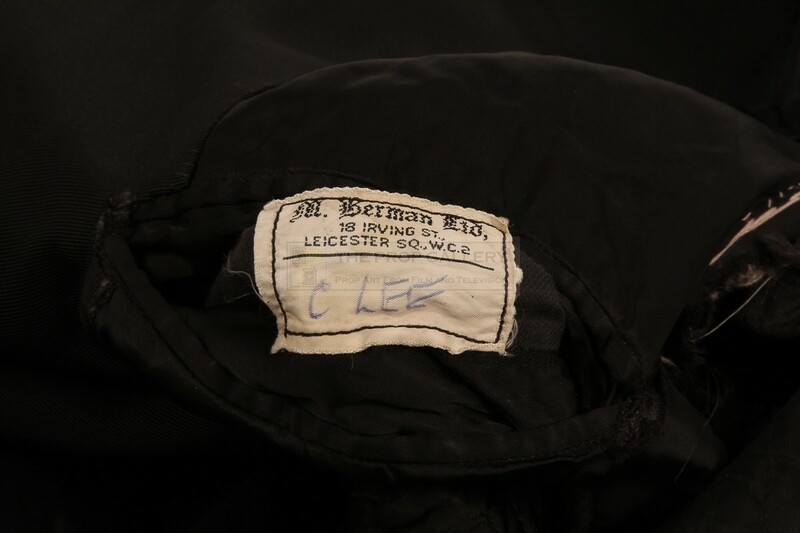 The interior pocket of the costume features a period M. Berman label which is hand inscribed 'C LEE' in pen. 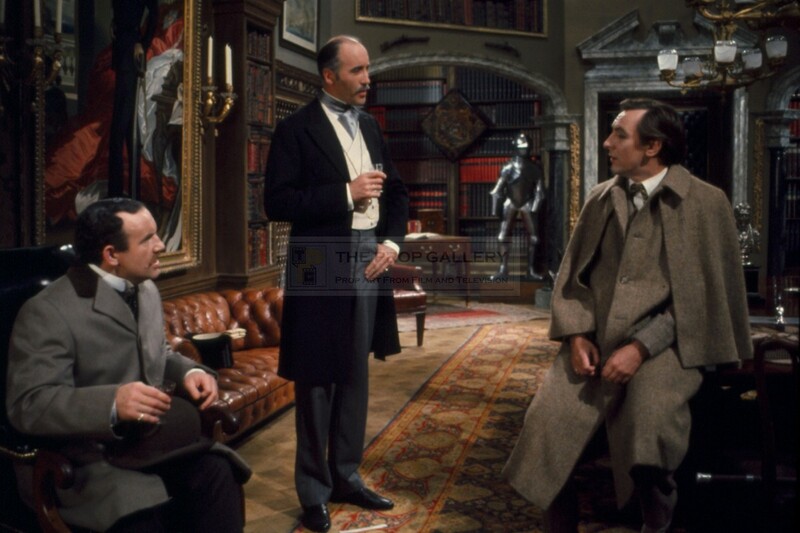 An incredibly rare example of a principal character costume from this highly regarded Sherlock Holmes production.